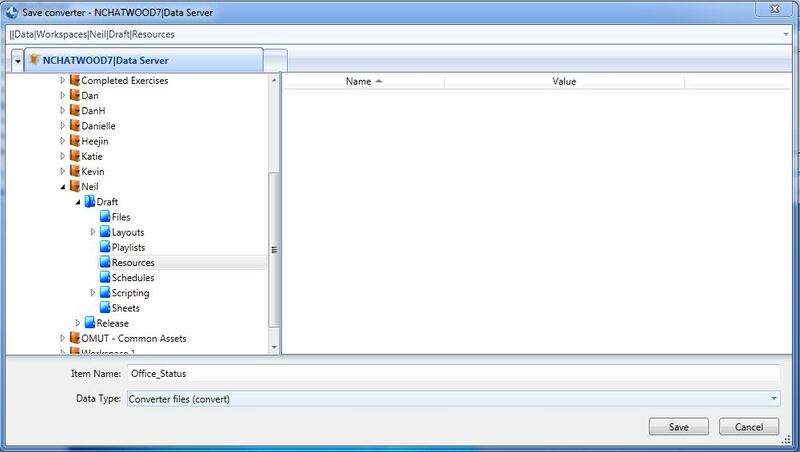 Data converters are used when we want to change a data bound value into a different string. For example, if it has the string 'sold out' in the cell convert this to the string 'FF0000' (hex code for red). We can't use a converter for a range of strings (i.e, number between 50 and 75), so the strings need to be definitive and consistent in order for this to work. The client requires a layout that displays whether or not people are currently in the office. We want the background of the text zone to be green if they are in the office, red if they are out, and yellow if unavailable. The layout is made from 10 Text > Single zones for the data used. 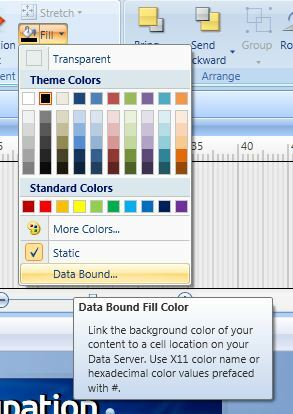 Edit the fill option for the first text zone to be data bound. Point to the relevant cell from the text zone you are editing (both the name and status will point to the same cell). Make sure you have "use data convertor" ticked for the next step to engage. Create the list of strings we expect and the conversion we want to take place for each. Notice I can use text for color or the hex value. 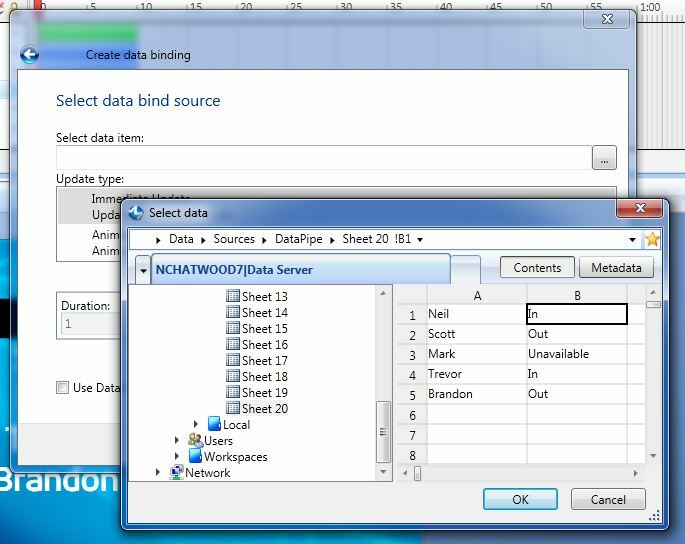 Save the converter file in your workspace in the resources folder. Click done. 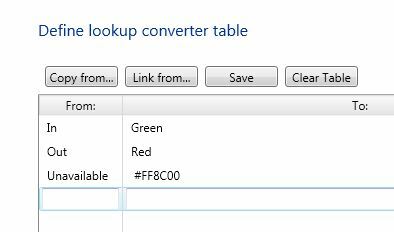 For the next text areas, point to their cells but "Link From" the same converter file you just saved. 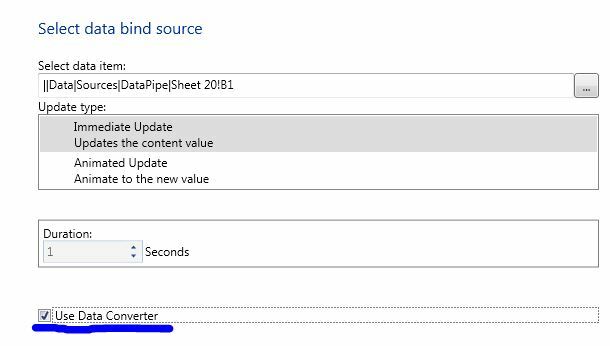 If you ever change the list in the converter file all of the places where it's used will update. If you use 'copy from' it will NOT update in the future because it's not a live link back to the file. When finished, update your data to test. Notice that it's not case specific. Done! Now hook your cells up to a live feed from a external source (perhaps via a linking product or script) and you have a fully automatic system for office occupation.